Officials are asking drivers to avoid the area and seek an alternate route due to delays. LUFKIN, Texas — Northbound lanes on a half-mile of U.S. 59 South near Texas Timberjack in Lufkin are remains closed following a crash Monday morning. The southbound lanes have since reopened. 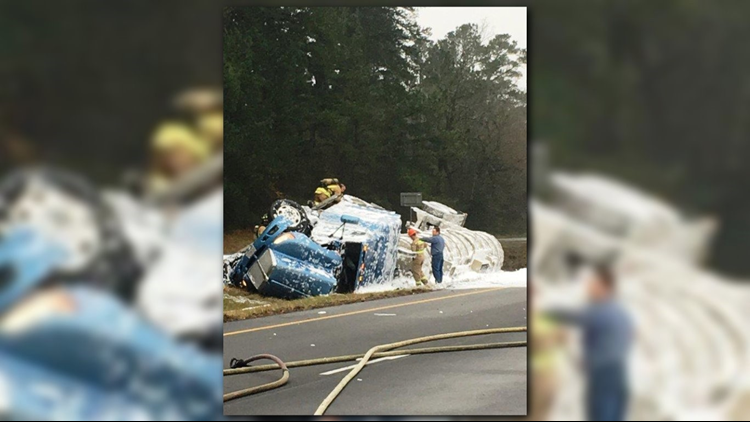 According to the Lufkin Police Department, an 18-wheeler carrying racing fuel overturned in the area. Crews on the scene are working to off-load the remaining fuel. All lanes were closed until police briefly opened the southbound lanes. The lanes were closed again and not reopened until around noon. The LPD is diverting all northbound traffic to FM 1818 in Diboll to FM 58 in Lufkin.